28 FEB, 2017. 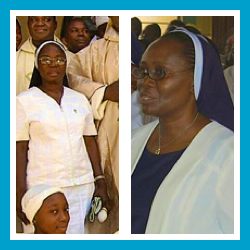 Congratulations to Sr Christiana Biyab SSL and Theresa Olaniyan SSL who celebrated their Silver Jubilees last month. 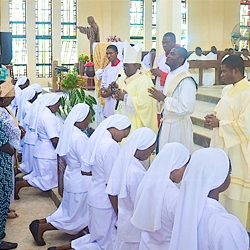 Masses were celebrated in their honour, at St Louis Parish Catholic Church, Bompai, Kano for Sr Christiana and St Gabriel’s Catholic Church, Mokola, Ibadan for Sr Theresa. 28 FEB, 2017. 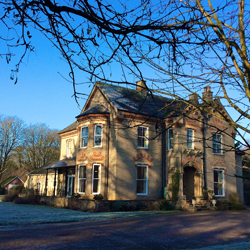 The final gathering in Newmarket Convent of our sisters in the English Mission took place late last year. For some years now Newmarket has represented home for the English Mission and has been the gathering place for decision-making, celebrations and farewells. However, after a period of discernment, the English Mission decided to unburden itself of this property. 19 JAN, 2017. 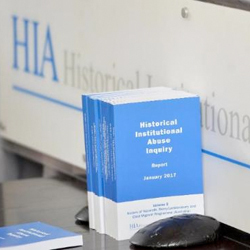 The Sisters of St Louis acknowledge and accept the report published today by Sir Anthony Hart, Chair of the Historical Institutional Abuse Inquiry in Northern Ireland. 21 DEC, 2016. 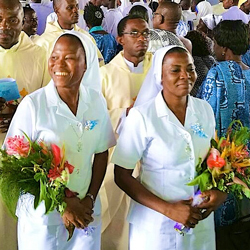 Congratulations to the 10 sisters who made their final vows in the Nigeria Province in October. They are: Francisca Akinwumi, Immaculata Obanure, Rachael Ojo, Lucia Adenle, Esther Akpa, Eugenia Raymond, Maryann Anaehobi, Anthonia Eneanya, Augusta Ozor, and Veronica Obi. 23 NOVEMBER, 2016. Congratulations to six Sisters of St Louis who celebrated jubilees at a special Mass and lunch last month in our California Region. 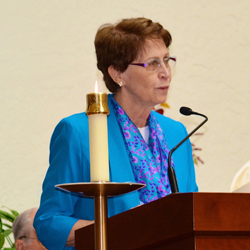 Sisters Eugenia McInerney and Frances Leonard celebrated 70 years, Sisters Breege Boyle and Alice Keenan celebrated 60 years and Sisters Bridget Ehlert and Margaret Fitzer celebrated 50 years of religious life. 23 NOVEMBER, 2016. Beatrice Venyellu SSL and Juliet Ziem Yirkpeekuu SSL were received as full members of the St Louis family on the occasion of their final profession of vows at the Chaplaincy, St Louis College of Education, Kumasi, on Saturday, October 22, 2016.